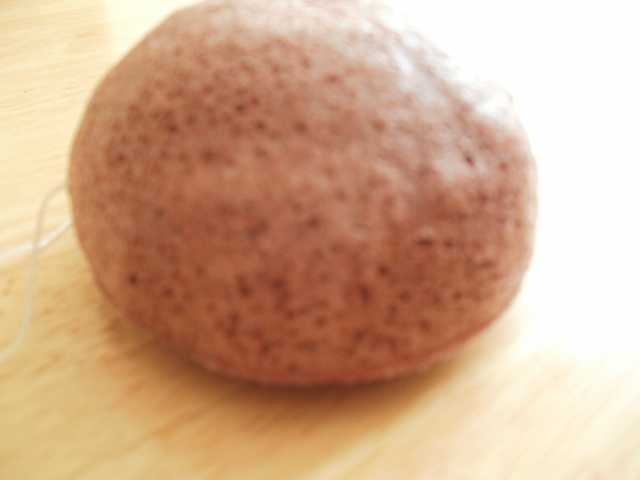 The one i have is the Red Clay sponge for dry, damaged, and mature skin and its oh so fab! Completely non drying. These sponges sit lovely in the palm of your hand, they exfoliate your skin while giving it a good deep cleanse, they can be used with or without a cleanser and are gentle enough to be used on babies! My sponge has really helped calm my skin down, i get dry patches which can go red and itchy and this sponge seems to have stopped this happening, i have a few thread veins on my face too and my sponge is gentle enough not to irritate them, plus they purify too stopping any spots before they get a chance to start or spread, it just glides gently over your face, it definitely left my entire face feeling calm and hydrated after cleansing. You can really feel the sponge gently gripping and cleansing your face, the clays make these sponges very balancing and really help with any excess oil problem areas like around my nose area plus it ph balances my skin. Theres a lot to love about what these lovely silky soft sponges do! Just done squeeze it out too hard when done and it should last you around 3 months. It really is worth your while having a read and getting the correct sponge for you skin type i reckon the green clay sponge would really be a godsend to someone with really oily skin because the clay would really make a huge difference to controlling the oil production! Have you ever tried one of these sponges? I would love to know what you think of yours ? This entry was posted in Health and Beauty on August 19, 2014 by the40somethingbeautyblogger.